Happy Spring! 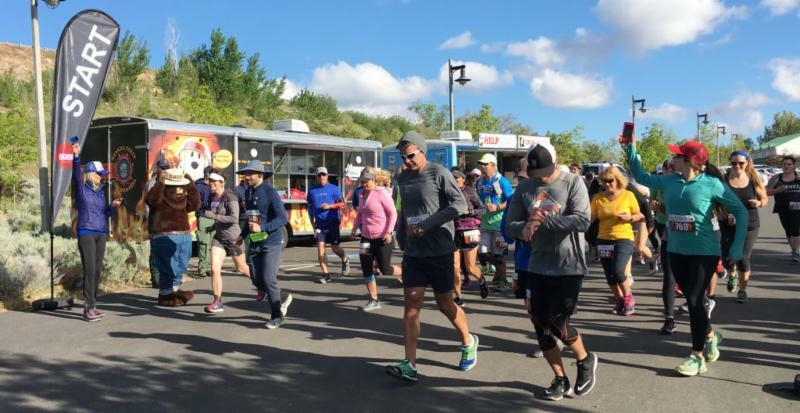 In this issue of The Network Pulse readers can learn more about the transition of and recent success of The Network, about an opportunity to incorporate exercise and raise money for Nevada’s fallen firefighters and their families, and about how the weather impacts wildfires. 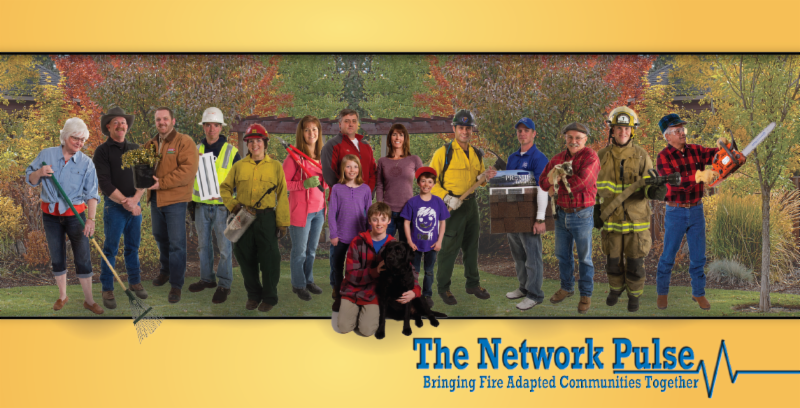 Graphic courtesy of the Fire Adapted Communities Learning Network. Wildfire threat reduction is a year-long responsibility for Nevada homeowners and residents. The Network mobilizes communities to prepare for wildfire and assists residents by connecting them with resources to address the threat of wildfire. University of Nevada Cooperative Extension and the Nevada Division of Forestry (NDF) continue to be close partners during the Network’s transition. Together, Cooperative Extension and NDF have completed several goals to complete this transition. During The Network's 4 th Annual Conference, the Advisory Board approved The Network’s operating manual. This manual provides members with an overview of The Network’s operations, goals, objectives and membership requirements. View the operating manual here . With the approval of the operating manual, our coordinator is busy organizing presentations about The Network to local communities, HOAs, and county board of commissioners. Another success for The Network is a nearly full Advisory Board. The Advisory Board guides the development of The Network, formulates the strategic plan, and ensures Network staff are meeting goals and objectives. The board has representation from numerous agencies that have a vested interest in wildfire preparedness, prevention and education in Nevada. The board is still looking for nominations for a Southern and Northern Region Community Representatives. For those interested in a presentation about The Network, or for those members who are in good standing and want to serve on the Advisory Board as the Southern or Northern Community Representative, please contact The Network Coordinator, Michael S. Beaudoin, at mbeaudoin@nv.forestry.gov or call (775) 684-2571 for more information. All of the proceeds will stay local to benefit fallen firefighters via the Nevada Local Assistance State Team (LAST). LAST is a national collaborative effort between the Department of Justice, Bureau of Justice Assistance and the National Fallen Firefighters Foundation. The local Nevada chapter is supported by Federal, State and local firefighting entities. I hope to see you there! ﻿ courtesy of the Nevada Division of Forestry. Nevada experienced four years of drought between 2012 and 2016, followed by record-breaking precipitation in the winter and spring of 2016-2017. The excessive winter moisture promoted vigorous growth of all rangeland and forest plants, but especially cheatgrass and other annual herbaceous species. These plants produced 200-300% more fuel than most years, creating continuous fuel beds that didn’t need wind or slopes to spread. Sites that are significantly invaded with introduced annual species, such as cheatgrass, have extremely high fuel continuity and fuel loads that can increase fire behavior and extend the wildfire potential to almost 10 months of the year. An analysis by the Nevada Division of Forestry showed that fires outside the traditional fire season (May-October) have nearly doubled in 13 years. The combination of fire and cheatgrass facilitates more wildfire and cheatgrass, also known as the fire-cheatgrass cycle. The cycle occurs because cheatgrass is more competitive than most species when burn scars are allowed to naturally revegetate. And, cheatgrass is extremely flammable, igniting and burning with relative ease compared to other fuels. The acreage burned in Nevada in the 2017 wildfire season was 1.33 million acres, which was the third largest season on record. 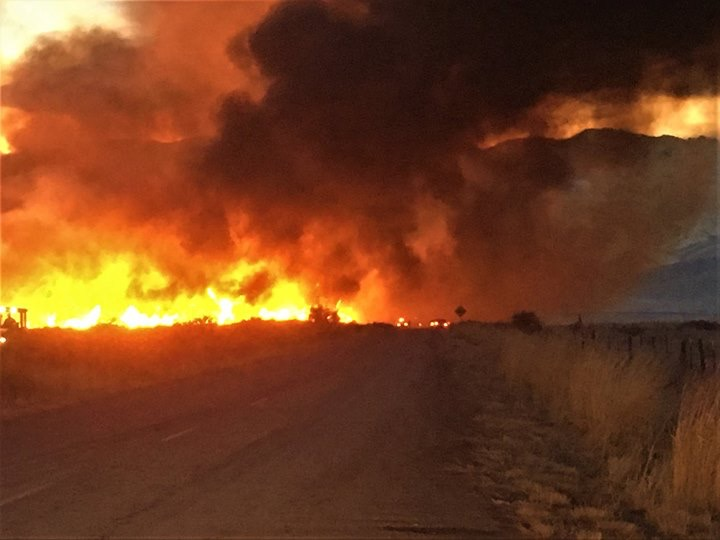 Extreme fire behavior warnings were sent to firefighters throughout the season from the Great Basin Coordination Center citing instances of individual fires traveling more than 10 miles across the landscape and burning more than 100,000 acres in a single day. Given these startling wildfire behaviors, now is the time for all residents and cooperators to plan and prepare for 2018 wildfires. The winter started out well below normal for precipitation, leaving dry fuels available for many wildfires that occurred across Nevada prior to March. As most people in Nevada have experienced, March precipitation patterns have shifted drastically and precipitation is now trending toward exceeding the long-term average. The Division of Forestry encourages all residents to take no comfort in this switch as the timing of this precipitation will likely favor cheatgrass fuel growth once again, creating continuous horizontal fuel continuities later in the year that can carry fire through subdivisions and communities that have fuels that are not well managed. Defensible space and fuel breaks are two of the most effective ways that communities can prepare for future wildfires. Fuel breaks can be achieved through herbicide application, mowing, and targeted grazing in lighter fuels, and these should be maintained annually. In heavier fuels, thinning, logging or masticating are the preferred strategies, and maintenance on these treatments are typically required every 5 to 20 years depending on the regrowth rate of the plants. Defensible space using lean, clean and green tactics, should be implemented annually to meet the standards. Learn more about defensible space using lean, clean and green tactics or find information in your local wildland-urban interface codes. 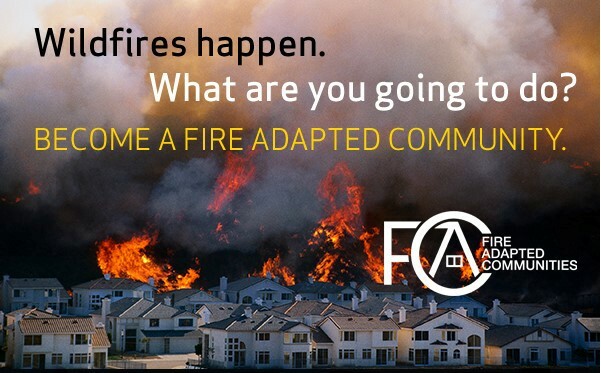 Additionally, we recommend engaging with your community about the threats of wildfire, updating your Community Wildfire Protection Plan and engaging with the Nevada Network of Fire Adapted Communities . It is clear that we are in an unprecedented era of wildfires. The fluctuations in precipitation and changes we see in vegetation communities, especially the conversion to weedy and invasive annual grasses and forbs, will continue to drive the need to evolve in our wildfire suppression and pre-suppression actions across the landscape. A coordinated response to wildfire, rehabilitation and mitigation will also be necessary not only by jurisdictional agencies but also homeowners, counties, cities, and effected stakeholders. Wildfire knows no timeframe or boundary, so our response before, during and after must not either.